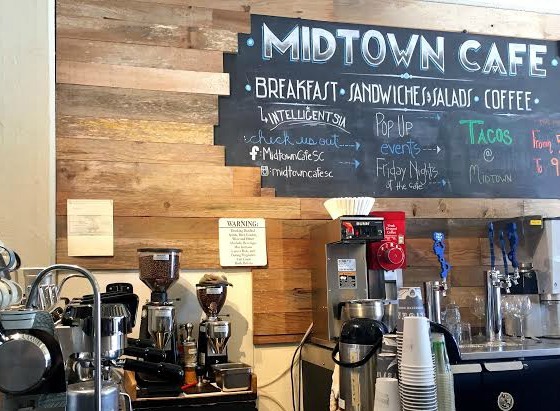 Have you ever been to Midtown Café? 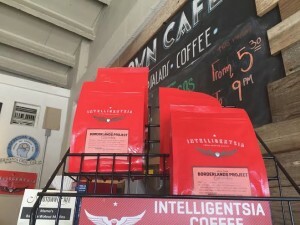 It’s a fairly new spot that you may not have heard people talk about yet; one of those semi-secret Santa Cruz treasures…..there are a lot of them in this town. This one is located just down the street from The Rio Theatre. Midtown Café serves more than your common breakfast and lunch items along with Premium coffee and Espresso. Their vibe is artsy and rustic, a simple set up with local artwork hanging on the walls and usually some tasteful jazz or soft blues playing in the background. Wifi is available upon request and people watching through their front window of the Soquel and Seabright area is available during all business hours. 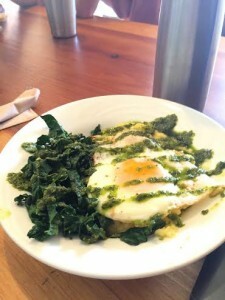 There aren’t many other places where one can get a breakfast with polenta, kale, chimichurri sauce and a fried egg on top for just $7.50. They also offer sandwiches and fresh green salads as well as 4 beers on tap, all of which are made at the local Discretion Brewery, and wine, a few of which are local. 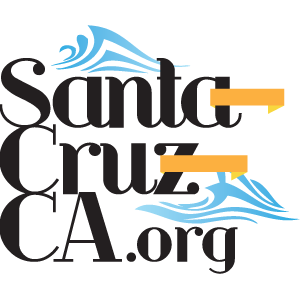 This is another small business that captures the spirit of Santa Cruz in the atmosphere it provides and the products it offers. It isn’t highly likely that tourists will find their way here because of the location, so if you’re new to the area or visiting you should stop by! If you are a local you might want to look into making it a regular stop, it’s a perfect spot to get some work done, or just relax with a book or a friend, or maybe even a first date!